area, deck with it's own view of the lake. •The property is gently sloped with 2 large docks for parking boats. before arrival and at departure. the main cottage have both a single and double bed in each. •The cottage and surrounding area are high speed wireless. •The tap water is triple filtered and is potable. satellite t.v. 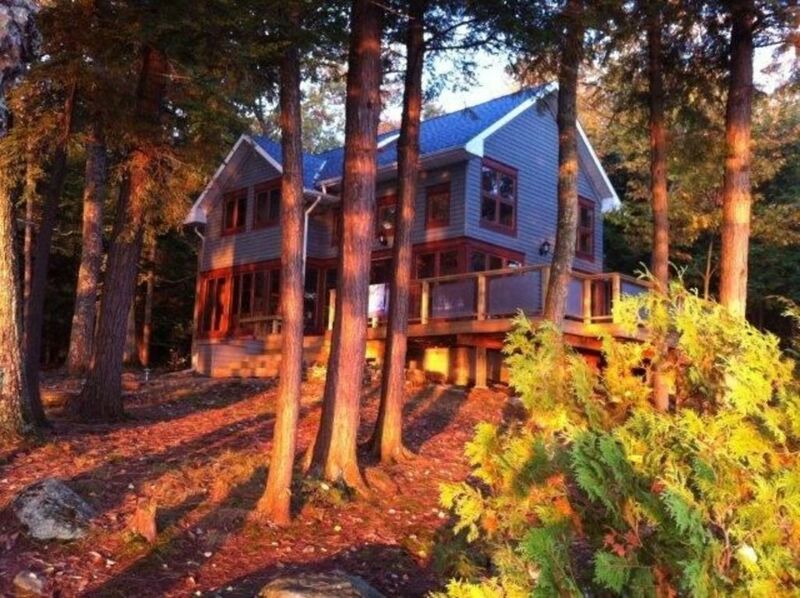 Close by boat, or car to Bala, Port Carling, Hardy Lake trails, water ski shows, area liquor stores, beer stores, banks/ATM's, and farmer's markets. Close to all boat and sports equipment rentals. This property has been in our family since 1941. It has been lovingly cared for and updated every year. There is a bathroom with a shower in the boathouse and 2 bathrooms both with tub shower combinations in the main cottage. It will easily hold 5 - 6 cars. The kitchen is quite large and open concept. The harvest table will seat 10 or more people. Canoe, paddles and life jackets are included. Both a Weber gas and old school kettle BBQ. Spacious wrap around deck with clear glass railing, Muskoka chairs, and a dining table. Screened in gazebo at the waters edge. Various sized of life jackets are provided as well as a child/small adult sized kayak. Tennis court within a 10 minute drive. Multiple public and private courses within the area. Fridge stocking and private chef available.